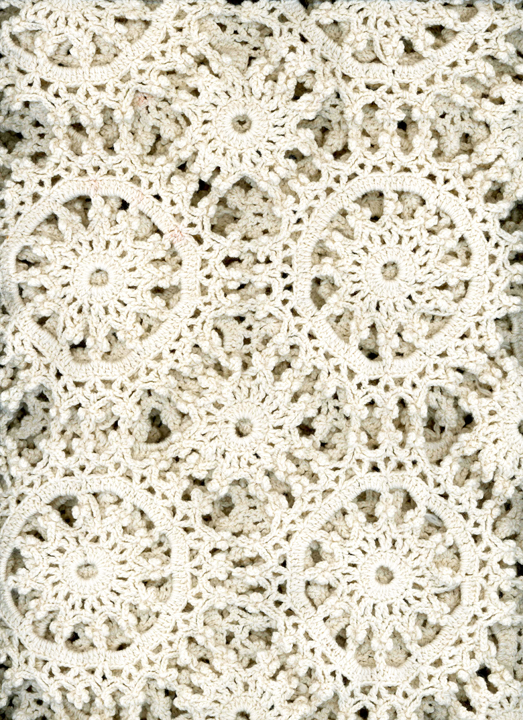 Julia West Roe created this tablecloth as a young woman by crocheting tobacco twine. During the 1930s Julia Roe settled in Sparta with her husband, Charles Rhudy Roe, a school teacher. She decorated their house on Academy Street with this piece she made while living east of Kinston, where her father owned a tobacco farm. (Click here for another documented example of tobacco twine crocheting in Eastern NC.) This piece is on loan to the Alleghany Historical Museum by Lucy Roe.